Business promotion is quite important for profitability and growth. Promotion helps you reach out to more people, who can be turned into prospective customers and clients. Marketing strategies should be based on a business’s strengths, opportunities, weaknesses, and threats – every business is unique. And there are various useful tools you can use to execute marketing plans smoothly and on schedule. This enterprise tool helps measure visitor traffic to your website. It helps identify any inconsistencies in your website, like slow loading of pages, poor content, and crashes, and provides solutions for fixing them. This helps you figure out if your marketing campaigns are working or need to be fine-tuned. You’re able to see clearly which campaigns are making people visit the site, which are generating sales, and how various users are interacting with different pages. You can see how visitors are getting referred to your website and which devices they are using. In this way, you’re able to maximize the return on marketing campaigns. HubSpot provides various kinds of inbound marketing solutions for companies under the same roof. It offers features like blogging, landing pages, email, sites, SEO, and social media, which drive more traffic for your business. This gets translated into an increased number of leads and sales. Analytics help to judge the performance of various marketing channels for targeting customers. Revenue reporting helps you figure out which marketing activities brought in revenue. This popular social networking site enables users to express their thoughts and share them with other like-minded people. Users can post 140-character text messages known as tweets. They can also add videos, photos, and links. Businesses use Twitter for striking up relationships with partners, customers, and other relevant people. You can showcase the services you offer and provide more information about them. You’re also able to gain a good insight into popular marketing trends and practices, so you can model your marketing strategies accordingly. This enterprise solution helps users manage their multiple social media accounts at the same time. You can publish your content on various social media with ease. With this tool, you can rapidly schedule content from any location through the web. Team members can better collaborate with each other and gauge the performance of their posts with analytics. 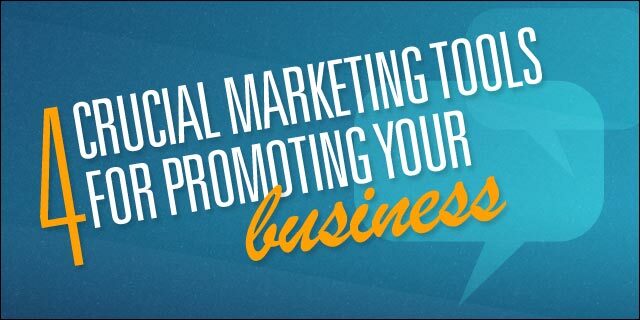 These useful tools help you promote your business and test out different marketing plans and strategies are. You can also figure out if you’re reaching the right audience or do they need to change things up. Kanika Sharma works as a freelance blogger. For the past 1 year, she has been writing for various technology blogs. Being an engineering graduate, her background allows her to connect with cutting edge technologies and relate them with real world scenarios. She also likes to think and pen down her thoughts towards various facets of life. When she is not writing, she can be found in the abode of himalayas, as exploring nature excites her the most. She is an early riser and loves to bask in the morning sun rays. Kanika also enjoys sketching, cooking, dancing and spending time with her family and folks. Her future plans include joining a writing community, a vacation in Paris and riding a white horse. Follow Kanika on twitter to know more about her.